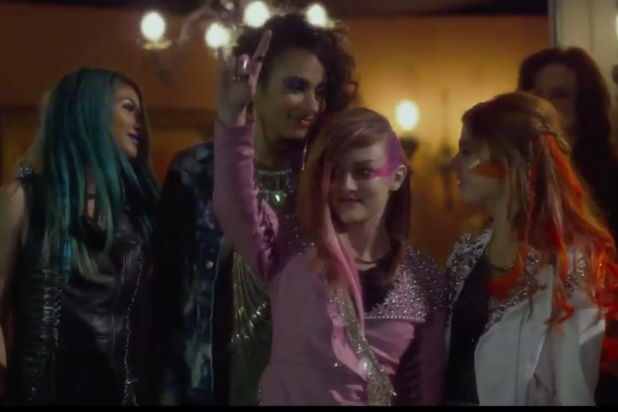 It’s not entirely clear who Jon Chu’s Jem and the Holograms is for. Fans of the original animated series are likely to be turned off by the movie’s almost complete lack of resemblance to its source material. Likewise, the tween audience who might enjoy it most was still more than ten years from birth when Jem aired its final episode. The tonal inconsistency of the final product seems to indicate that even Chu himself has no clue who the movie is for. It often resembles a Disney Channel Original Movie, albeit with a budget of a few million dollars more. It comes up short as both a movie and an adaptation, but it does just enough right to be damned with faint praise: it sure is an interesting failure. This version of Jem, unlike the often over-the-top cartoon it’s based on, is just kind of normal. When Jerrica Benton (Aubrey Peeples) dons a wig and posts a YouTube video of an original song under the name of “Jem,” she becomes famous literally overnight. Record executive Erica Raymond (Juliette Lewis) immediately invites Jerrica, along with Jerrica’s sisters as a backing band, to Los Angeles. From here, the movie hits all the familiar rise-to-stardom cliches. Jem falls in love with Raymond’s son Rio (Ryan Guzman, who can best be described as a poor man’s Chris Evans), Raymond insists that Jem ditch the band and go solo, Jem has a falling out with her sisters, etc. It’s disappointingly standard for an adaptation of a series that wasn’t afraid to be over-the-top. Except occasionally Jem does get a little weird, hinting at the better film that could’ve been. Before his death, Jerrica’s father (Barnaby Carpenter) built her a robot called Synergy. When the girls arrive in Los Angeles, the long dormant robot suddenly bursts to life, leading Jerrica on a scavenger hunt of sorts around the city. Though Synergy isn’t vocal, she beeps and whistles, like a bargain-bin R2-D2. The inclusion of a high-tech robot is made all the more bizarre in that the whole movie surrounding it is so compulsively normal. It’s a fairly standard rags-to-riches tale, in which there just so happens to be a highly advanced piece of robotic technology. Nobody even bats an eyelash. 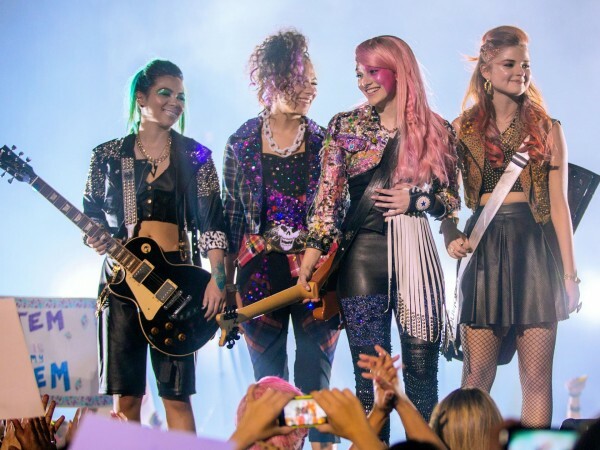 Ultimately, though, Jem and the Holograms is such a disappointment because some of the elements that could’ve made it a genuinely fun movie are already there. A credits stinger hints at a sequel that could really work. The songs, though there are very few, aren’t bad as far as Top 40-style stuff goes. It’s a shame these elements are surrounded by a movie that is otherwise trite and predictable.